Rapper 2 Chainz is the latest artist to “J’accuse!” at Grande. 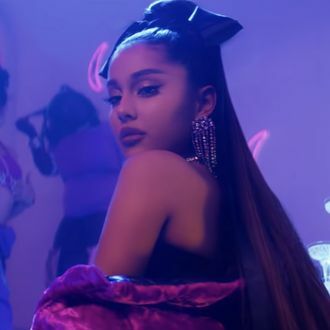 “7 Rings” chorus bares a striking resemblance to the chorus of Chainz’$2 2011 song “Spend It.” Fans of Chainz also noted similarities between the setting of “7 Rings,” a pink trap house, and his Pink Trap House from 2017. The Pink Trap House was real and visitable, the primary promotional image of Chainz album promotion as well as providing free HIV testing in Atlanta. So does the sound of “7 Rings” ring any bells? Well, yeah. Definitely. But is it so similar, either rapper has a Von Trapp-level claim to thievery? Compare the of songs for yourself below. How Many Artists Feel They Got Ripped Off by Ariana Grande?